The Yorkshire Dales National Park is centrally situated in the north of Engand, above Skipton and north west of the former spa town on Harrogate on the map. The terrain is rugged sheep farming country where man lives alongside nature. 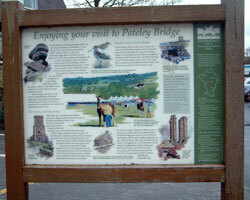 For more information see our guide to the Yorkshire Dales, dale by dale. There is a Yorkshire Dales Centre with lots of tourist information in Grassington plus plenty of tourist information signs and signposts in every town so that you don't miss any of the important aspects. Everyone has their favourite place in the Yorkshire Dales, read the accounts of other peoples' holiday experiences in the Dales below. Self-catering accommodation is much cheaper during the winter and provides comfortable accommodation at a very reasonable price. The advantage of self-catering is that you ensure that you eat what you want. Any special diets such as low cholesterol or gluten free are easily managed. There is plenty of self-catering accommodation in the Dales, you can choose from barn conversion with stylish interiors, apartments, log cabins through to traditional stone-built holiday cottages with open fires. All are fully equipped for good comfortable holidays and weekend breaks. Because it's your 'home from home', self-catering accommodation provides that measure of freedom and comfort that is impossible in hotels and B&Bs. Drinks are available as and when you feel like putting the kettle on, or looking in the fridge. It's cost effective and the perfect accommodation if you just want a base in the Yorkshire Dales with the ability to come and go as you please. Take a look at holiday cottages and self-catering accommodation in the Yorkshire Dales for somewhere to stay. The Yorkshire dales may be one of the most beautiful rural parts of Yorkshire to visit but it is also worth considering surrounding locations for days out, or a weekend break. Haworth, the home town of the Bronte sisters, is one such place that has a huge following. Read about a possible romantic break in Haworth. ©yorkshiredalesengland.co.uk 2019 - All rights reserved.